On 17 August 2017, ASUS launched the ASUS ZenFone 4 Pro (ZS551KL) smartphone with Korean superstar Gong Yoo at the Next TV Studio in Taipei. Let’s take a look at the specifications and key features of the ASUS ZenFone 4 Pro, as well as our hands-on preview of the first unit in Taipei! 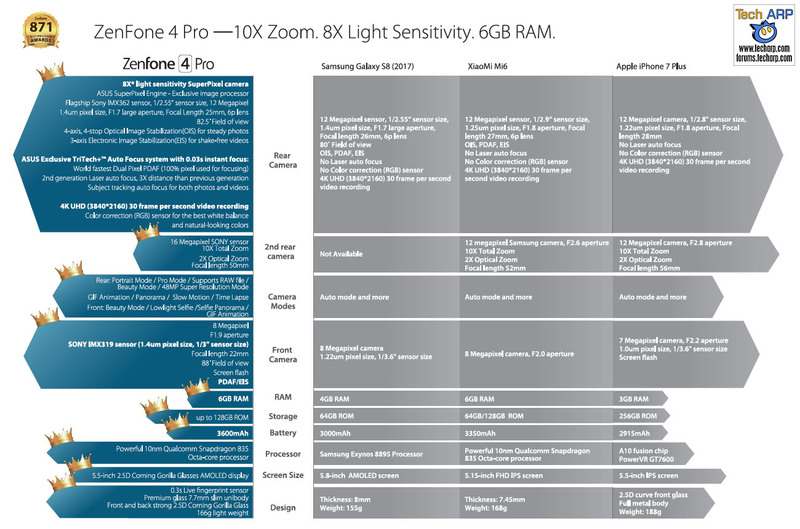 The new ASUS ZenFone 4 Pro smartphone is targeted at users who are into mobile photography. Hence, it boasts a dual-lens main camera system. Check it out! Whether it is the rear cameras or the front facing selfie camera, the ZenFone 4 Pro features three high end Sony camera sensrors with superior light sensitivity, focusing speeds and features. Wide aperture and large pixels work together to achieve 8X brighter photos 1 in low light compared to other smartphone cameras. A SuperPixel Engine image processor that intelligently increases light sensitivity and removes photographic “noise” after the shot. 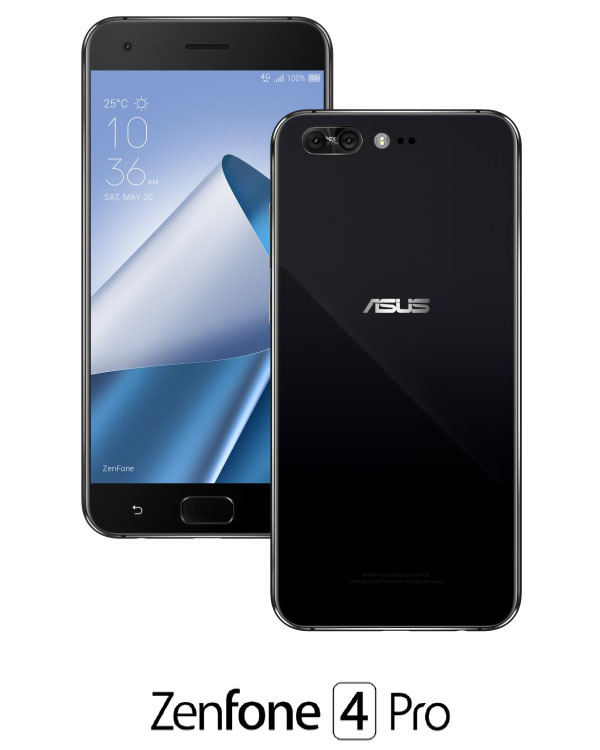 The ZenFone 4 Pro also featyres the latest top-of-the-line Qualcomm Snapdragon 835 SoC processor that has been paried with a massive 6GB of RAM. Certain variants of the ZenFone 4 Pro also support the latest Cat 16 4CA LTE standard for up to a blazing 1000MB per second data transfer speeds on compatible networks. Matching the photographic and processing capability of the ZenFone 4 Pro is its audio prowess which includes supremely loud 5-magnet dual speakers, a three-mic system (with one dedicated for noise cancelling), Hi-Res audio support and the industry’s best virtual surround system: DTS Headphone X:7.1. The window to these features is a bright, 500 nits, Full-HD AMOLED display; and the entire package is wrapped in an exqusitely slim, Corning Gorilla Glass-wrapped unibody with a rounded aluminum alloy edge. The body also houses a unique anti-spoofing IR fingerprint sensor that requires the user’s live fingerprint to rapidly unlock the phone in 0.3 seconds. Design Glass-metal unibody with front and rear Gorilla Glass panels featuring 2.5D contoured edges. Rounded sandblasted aluminum alloy edge. Home button with integrated fingerprint sensor.